Sometimes I need to make a new lip balm because I’m out of lip balm again. 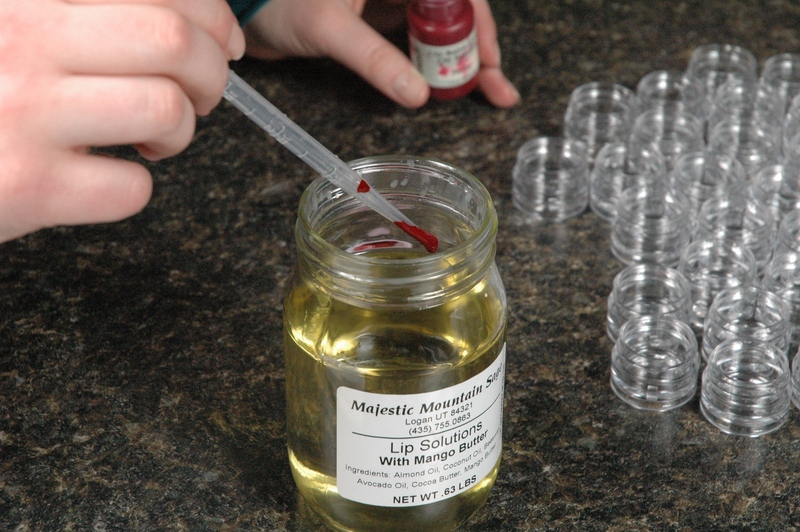 Yesterday I made the Kissable Lip Gloss and I thought since I was thinking about lips, I might do a lip balm. One of my favorite wintertime Lip Solutions is the Mango Butter Lip Solutions. The Mango Lip Solution is a light and fluid lip balm; it doesn’t have a lot of gloss to it, nor is it tacky. In my opinion, it is a great lip balm for when I’m outdoors in the snow. Today I’m using the Mango Butter Lip Solutions Gift Kit with Black Cherry Flavor Oil, and I’m going to give it a faint color using Cool Red Lip Balm Color. Take the lid off the jar of Lip Solutions. I like to melt it in the microwave, but you can also melt it in a sauce pan of water as long as there is a wire rack for the glass jar to sit on. The amount of time you microwave the Lip Solutions will vary on the microwave you are using. I microwave in short time bursts to prevent making the Lip Solutions too hot, because if the Lip Solutions is too hot, it could melt the pipette. Once the Lip Solutions is melted, add the flavor and color. 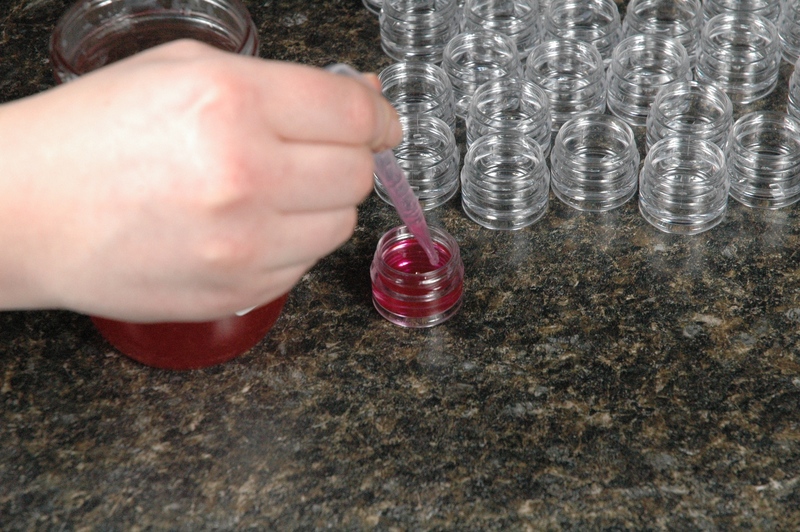 Draw the tip of a clean pipette through the lip balm color and then transfer the color to the lip gloss mixture with that pipette. 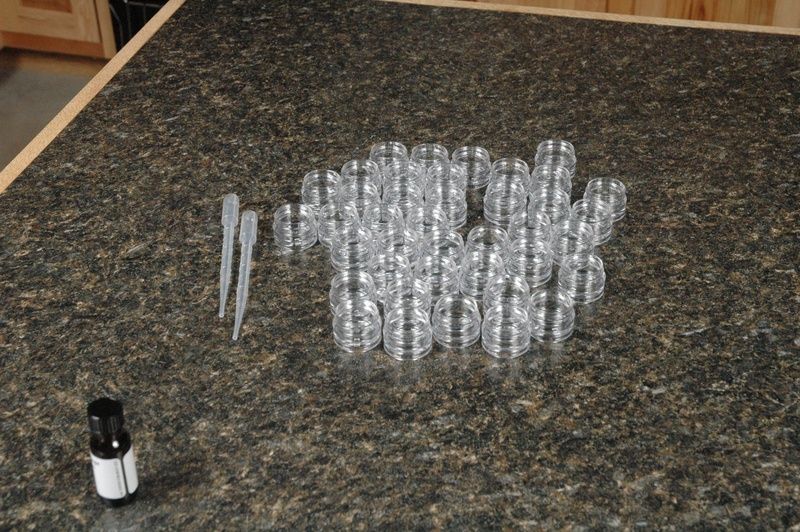 Use another pipette to add the flavor oil. I’m going to add 6 mL of Black Cherry Flavor so I can keep a light flavor. Stir the Lip Solutions to blend the flavor and color. 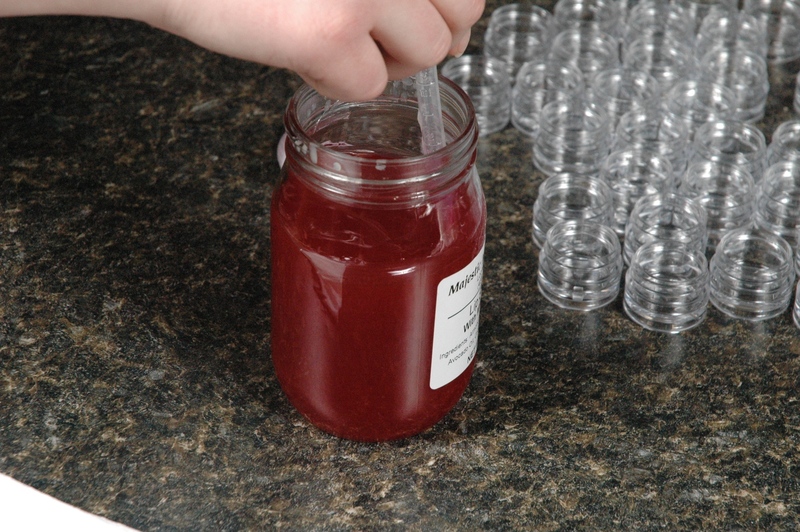 Now that the Lip Solutions is all mixed, we can put the mixture in the jars. 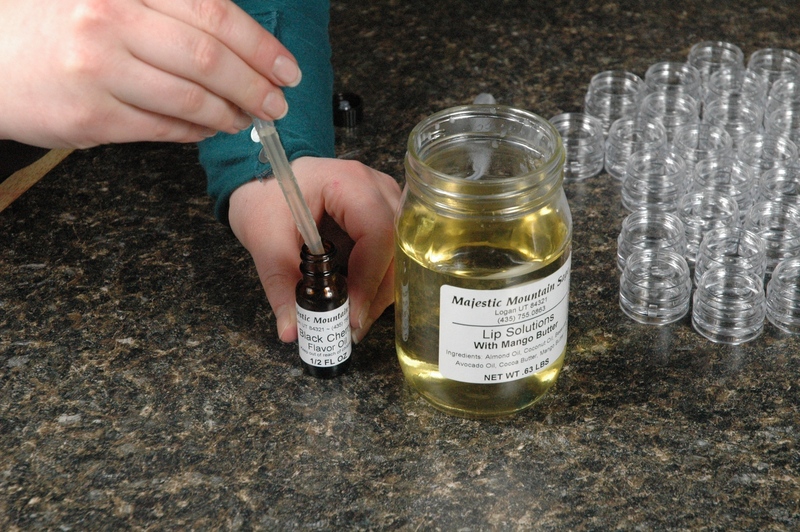 After the lip balm cools, we can cap and label the jars. Wow! Aren’t they adorable? They are very easy to make. 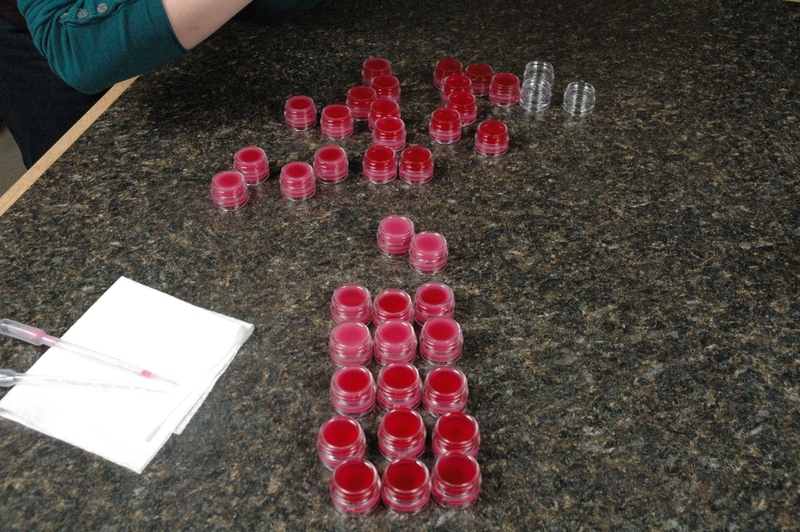 Set out lip balm jars. Add flavor to melted Lip Solutions. Add color to melted Lip Solutions. 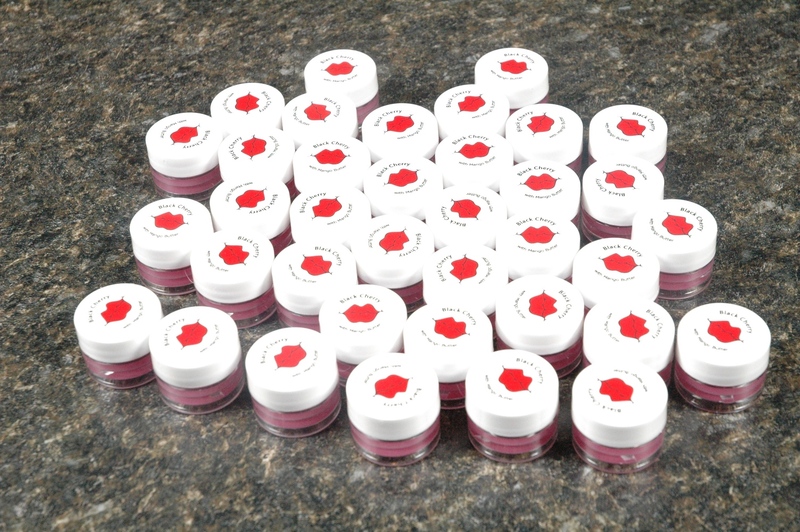 Capped and labeled lip balm jars. Stir Lip Solutions till flavor and color are mixed. Lip balm as it is cooling. You are making so many wonderful products! We have to learn from you! 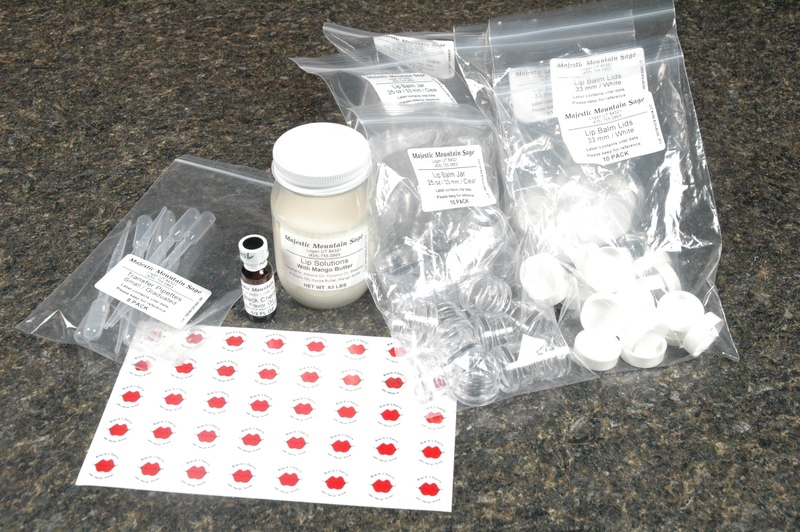 I am wondering if I can make lip balm using ostrich oil. If the answer is positive, tell me please how should I render ostrich fat correctly. In Romania I can’t buy ostrich oil, but I found ostrich fat and I have to prepare it. Thank you and good luck in your inspired activities! Rendering any animal fat is similar. Most of us do this in water, but it certainly is not required. Sometimes water can get stuck in the fat and those that hate this possibility will render the fat over a low flame until the fat is separated from the extraneous matter. Try grinding the fat to a very small particle like making sausage. Heat slowly. Remove the collected, liquid fat by straining through a fine cloth. Thank you! I know how to obtain lard, but I thought ostrich fat has a special method. Thank you, again!